International Coastal Clean Up #2! “Didn’t we just have an International Coastal Clean Up?” Yes, we did! We were so successful in cleaning up Lake Worth beach that we were asked to have another clean up a little further south, at Phipps Park. 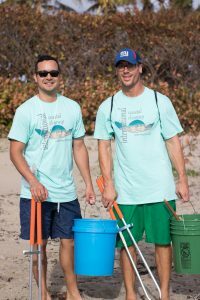 If you didn’t get to come out to the Lake Worth clean up, then please join us on October 28th at Phipps Park to continue our efforts to restore our beaches! PARKING IS FREE, during the clean up, so don’t worry about those meters. We need volunteers! We’re using SignUp.com to organize our upcoming events. 1) Click the button below to see our SignUp on SignUp.com.